Why do you want to invest in real estate? Is it just about having a lot of units—or is it about creating a life you can be proud of? On today’s episode of The BiggerPockets Podcast, we sit down with Josh Daniels, a real estate investor in Montana who, along with his wife Summer, has chosen to buy fewer but better deals on a quest for financial freedom. 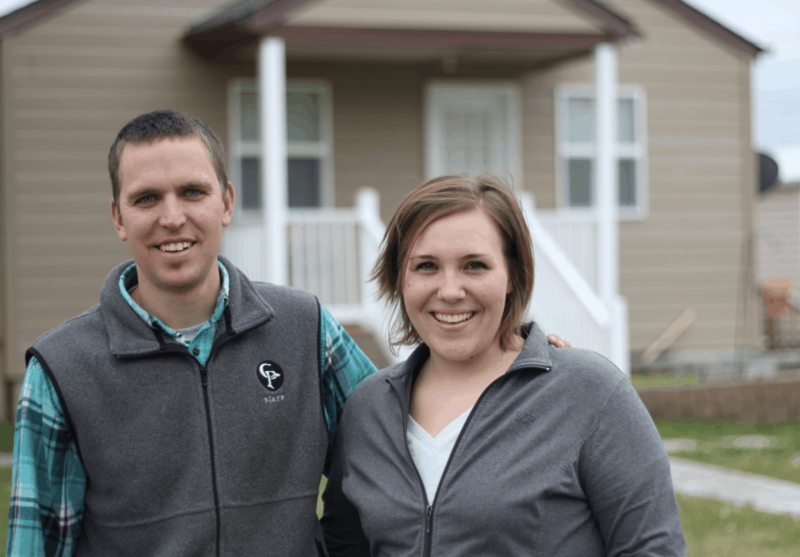 You’ll hear about Josh’s highly creative actions that turned their first deal into a cash-cow, as well as the shift to (and reason for) investing in single family houses. You’ll love Josh’s attitude toward financial freedom, as well as his message that you don’t need hundreds of units to be free. How many chances do you give a tenant who pays late? Great podcast. Awesome momentum in just 5 years. Too bad my landlord didn’t offer any advice back when I bought my first house. I think we should all be that Landlord and help improve our society by helping our tenants become better. Outstanding Podcast! I once looked at rental properties in Columbus, MT myself! So I know the town Josh is operating in. Very impressive. I have done many of the same type deals, in the last 5 years here in Cody, WY (about 100 miles south of Columbus) and nearly the same size town. Cody is tourism driven, vs Mining in Columbus. I also concur with Josh that the forums on BP is probably the single best source of education for both novice/wannabe rental investors AND also seasoned old guys like myself. I learn daily from BP. Thanks all! Also wanted to comment on the attitude Josh has towards quality vs. quantity, and all the implications thereof. RIGHT ON! Letting some ego sourced “goal” of counting # of units owned is completely wrong thinking. That type of thinking exposes investors to many risks, particularly of making purchases that should have been passed on. PLUS, it encourages abandoning, or at least de-emphasizing the preeminent importance of financial analysis as the go-no-go decision criteria on a potential purchase. Compromising on the analysis numbers/results just to add a unit conquest to a portfolio, is sure way to “diversify” an otherwise strong portfolio into a crappy one! I haven’t listened yet but I know it will be awesome because Josh is a good contributor to the forums! Hi Josh, Very good podcast. I am also an investor who likes to pay off rentals and have property free and clear. One of my strong mentors in this area is John Schaub. I highly recommend his Seminars and books. In my 42 years of investing, he most closely fits the Dave Ramsay way of thinking combined with smart real estate investing. Thanks for taking the time and effort to do the Podcast. Josh, it’s so nice to see another investor from a small town! I think our situation presents some different challenges but it also provides some unique opportunities. I’m of the same mindset when it comes to unit count. I’ve seen people with 100+ units that are making great money but they’re also working their tails off on their business. I’m more interested in meeting my financial goals with the least amount of personal involvement possible. My company currently manages around 300 rentals so I manage my own units and it’s like a drop in the bucket to my daily workload. However, my long-term goal is to completely replace my income with passive investments. At that point, I’ll sell my company, turn my properties over to someone else for management, and be 100% free of all work obligations. This will enable me to finally live the life I want and participate in long-term missions, local charities, family, travel, etc. I really enjoyed the podcast. If you are ever in Cody, be sure to look me up! This is absolutely awesome. Josh, your “why“ is EXACTLY what mine is: to be able to serve the kids in my church and community without needing a salary from the church. Great message and great mentality . Best of luck and God bless! Excellent podcast, Josh! I think I learn more from the simple stories than from the massive multi-family syndicators. Great advice and another sound example of the BRRRR strategy at work. Congrats to you and your growing family! Great podcast and even more great of a WHY! I love that you find success without having to go 10x, and that you make a huge contribution to your community and your family with your manageable empire of real estate. I want to hear more episode like this – easy, manageable real estate. Congrats to you and your growing family!